We combine extraordinary places, local history, unique architecture, terrific food and wine and classical music to make incredible concert events. 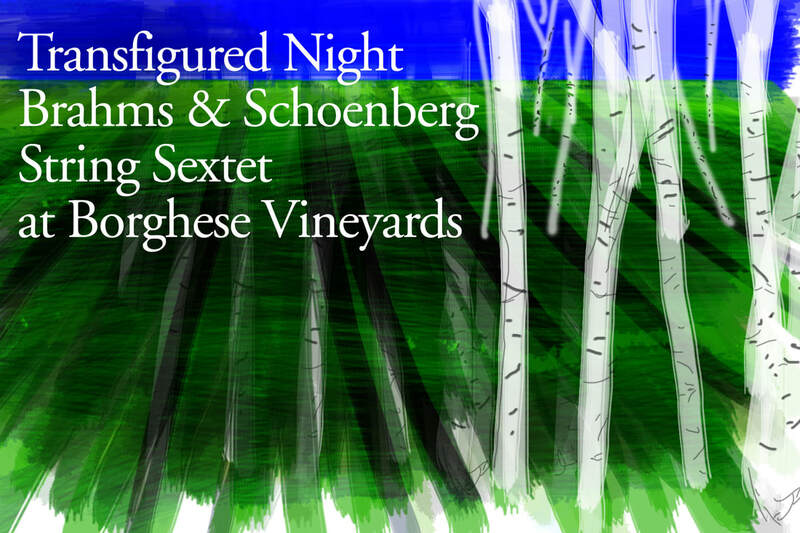 We bring contemporary classical music to the East End of Long Island at the height of Spring. Vibrant artists from the U.S. and abroad come to play at the festival with brand new works, classic masterpieces and international premieres. Two of the greatest musical masterpieces of the late nineteenth century will open the fourth edition of the festival: first string sextet by Brahms and Transfigured Night by Schoenberg . Composed in 1899, Transfigured Night is a seminal work created at the eve of a new century. It looks both backwards to the culmination of 19th century artistic practice, and forwards, to an era of seismic technological change, and reappraisal in every art form. As a painter, and a composer with a strong visual imagination, much of Schoenberg’s output has a suggested or specified visual content. The concert presents the integration of music and images creating a visual dramaturgy to create an atmosphere of total immersion for the audience to enhance the enjoyment of music. 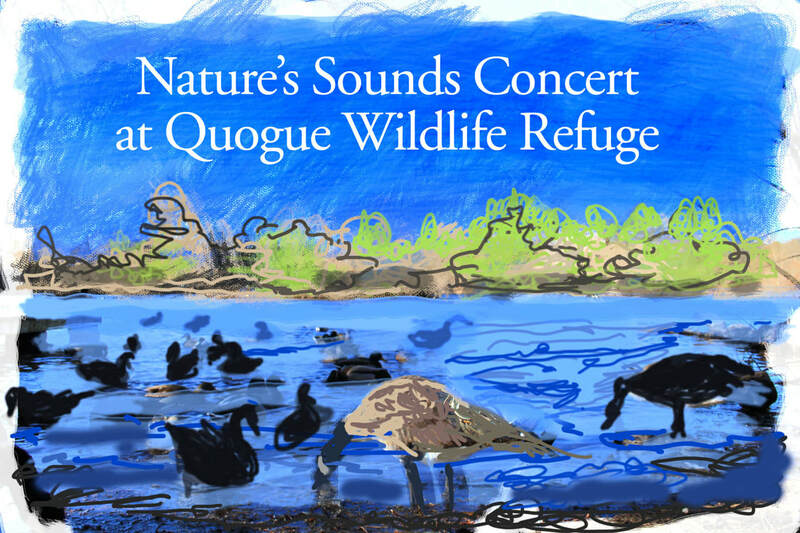 The Nature’s Sounds Concert combines a live music performance made by a trio of stunning musicians led by the Down Beat multi nominated best trombonist Ray Anderson with a “nature art installation” in collaboration with the environmental artist Toni Valderrama. This multi dimensional event will enable the public to be in touch with nature creating tactile and acoustic participative art. 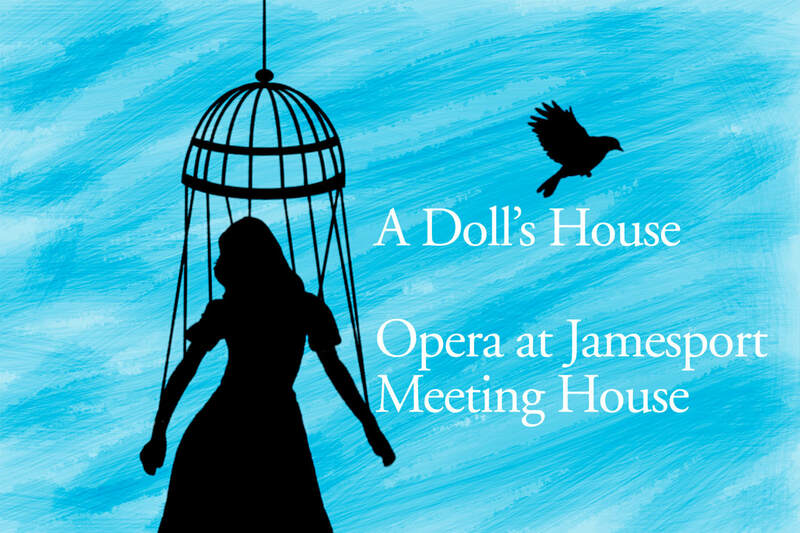 Doll's House: A New Opera from Alexandra Cadena on Vimeo. This a solo flute concert with electronics. The theme is finding comfort in a world of craziness. The first five short-ish pieces will be like prayers (calm, meditative), preparing the audience for Cerrone's Liminal Highway, which takes the audience on more dramatic journey. In the course of one hour performance, the performer will play flute, guitar, beer bottles and will sing. The music will mostly be very beautiful. Christopher Cerrone conjures sonic environments. His magnetic music surrounds listeners, painting landscapes, bringing to the surface raw emotions. This program provides a snapshot of the composer through new and in-progress works. 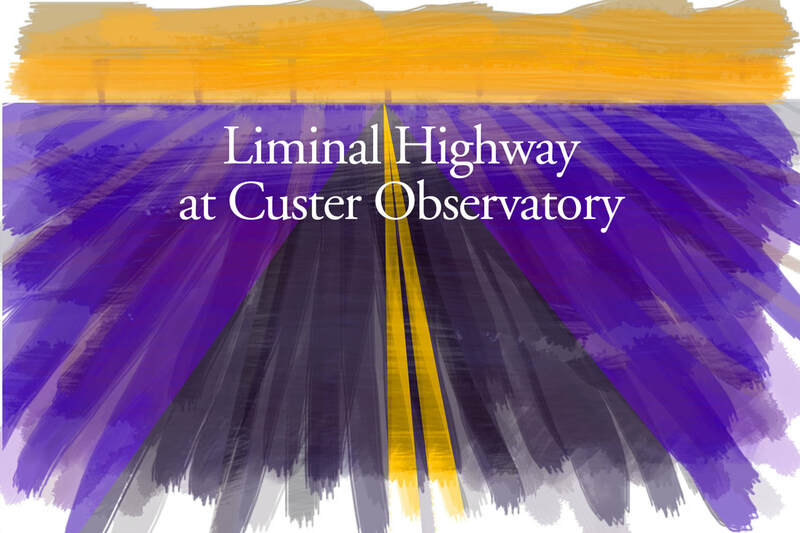 Liminal Highway, written for Grammy-winning flutist Tim Munro, evokes the sensation of this moment. Layer upon layer of flute sounds shimmer, pulse and glow, creating a radiantly beautiful sonic mirage. Schubert and Schumann are, of course, two of the immortals in classical music. In his 31 years, Schubert wrote more than 600 songs and he elevated the song to an art form. The essence of Schubert's style is lyric and he was one of the great melodist. Schumann, too, is more worthy representative of the romantic lieder, where the intertwining poetry and music is indissoluble. 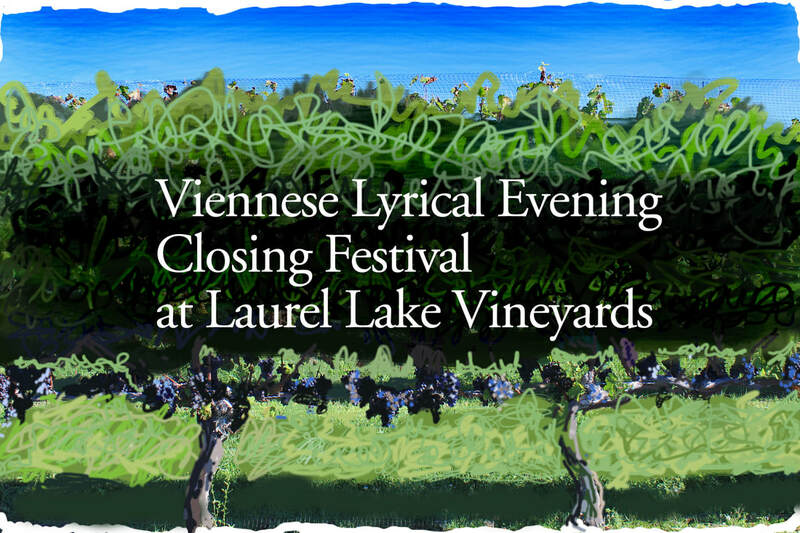 The concert alternates lieder with the performance on the flute of Schumann's Romances and Schubert's Sonata in D. The concert will take place on the beautiful terrace of Laurel Lake Vineyards against the backdrop of an enchanting sunset landscape. 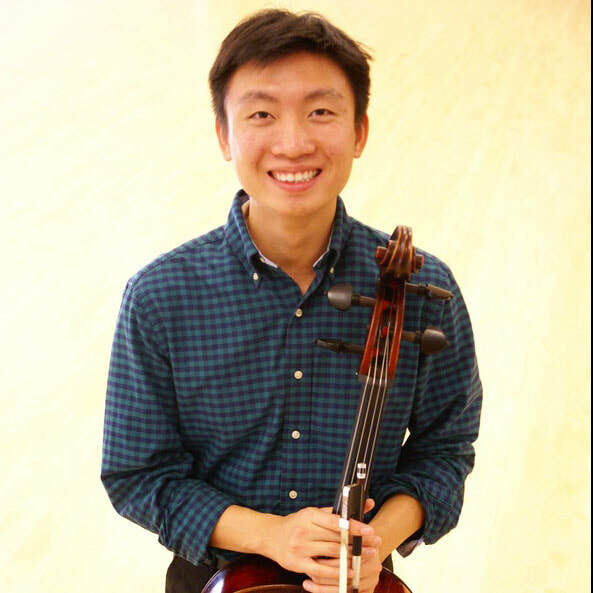 Korean-American violinist Brian Bak enjoys a career as a sought after performer and pedagogue. Mr. Bak has been featured as a soloist with the Tampa Bay Symphony, the Central Florida Philharmonic, the Sewanee Festival Orchestra, and the Chicago Chamber Orchestra, among others. In 2016, he was the winner of the Stony Brook University Concerto Competition and performed the Elgar Violin Concerto with Stony Brook Symphony Orchestra. An avid chamber musician, Mr. Bak is a two time winner of the Ackerman Chamber Music Competition. He has studied chamber music intensively with Gilbert Kalish, members of the Tokyo Quartet, and the Emerson Quartet. As a founding member of both the Emanio String Quartet and Trio de Novo, he has held chamber music residencies at the Banff Centre, the Great Lakes Chamber Music Festival, and the New Music for Strings Festival in Aarhus, Denmark. A versatile instrumentalist, Mr. Bak is also an accomplished cellist, and has performed with the Florida Young Artists Orchestra and the Chicago Chamber Orchestra as a soloist. He is also a frequent performer with highly acclaimed ensembles based in New York City, such as Sejong Soloists and the New York Classical Players, the latter of which he has performed with as a violinist, violist, and cellist. An experienced orchestral musician, Mr. Bak has held principal positions with the Juilliard Orchestra, the Juilliard Chamber Orchestra, the Stony Brook Symphony Orchestra, and the Yale Philharmonia. 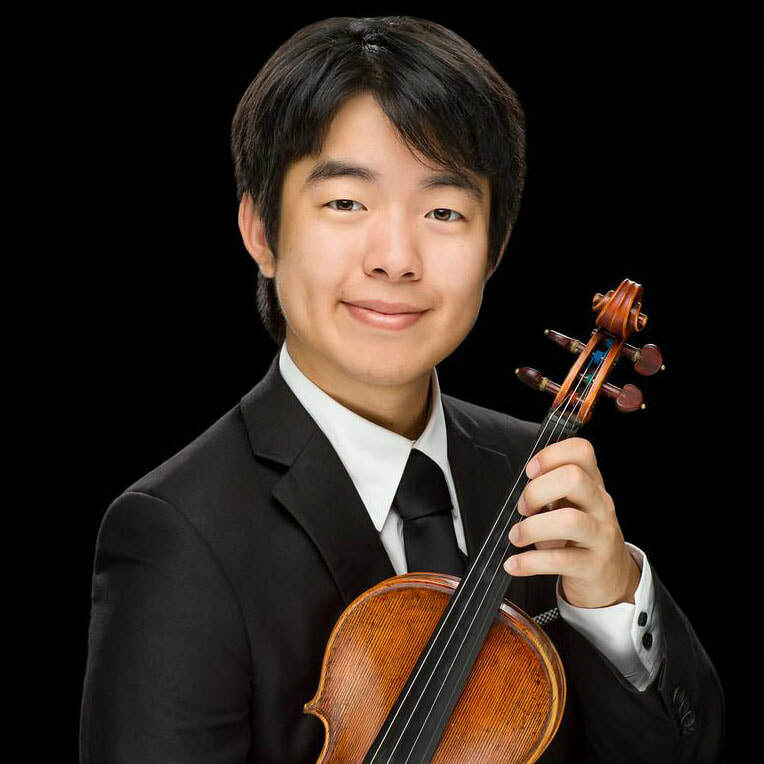 He was a selected member of The Juilliard Orchestra's China Tour in 2008, and in 2011, he was appointed by Lorin Maazel to be the principal violinist of the Castleton Festival Orchestra for a series of critically acclaimed performances. Mr. Bak is currently pursuing a Doctor of Musical Arts degree at Stony Brook University on full scholarship. He received his Bachelor and Master of Music degrees at The Juilliard School, where he was a recipient of the C.V. Starr Scholarship, the Juilliard Merit Scholarship, and the Samsung Scholarship. In 2013, he received the prestigious Artist Diploma from Yale University. Mr. Bak's principal mentors and teachers have included Hyo Kang, David Chan, and Philip Setzer. 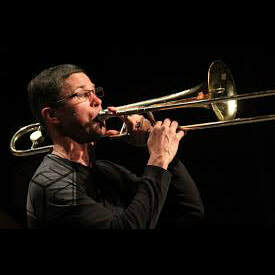 Mr. Bak was formerly a Teaching Artist at Yale and is currently a faculty member at New York Music School and chamber music coach for Summer Intensive Program at New York Music School. Mr. Bak is regularly invited to give master classes across the USA. Most recently, he was the featured guest artist for master classes at Arkansas State University and for the Young Artists Orchestra of Las Vegas. Hailed for her “marvelous” and “scintillating” performance, Isabelle Seula Lee is a celebrated violinist and a passionate historical performer. She is a founding member of New Amsterdam Consort and performs with many distinguished early music ensembles, including the New York Baroque Inc, Portland Baroque Orchestra, Bach Collegium Japan, Early Music New York, Bach Collegium at Saint Peter’s, Teatro Nuevo, and Juilliard415 throughout United States and internationally. Lee made her debut as a concerto soloist at the age of 11, and appeared soloist with the Tele-Radio Symphony Orchestra in St. Petersburg, Russia; St. Petersburg State Symphony Orchestra; St. Petersburg Conservatory Symphony; Lynn Philharmonia; the Chamber Orchestra of Estonia. She received top prizes from the International Competition of Young Musicians in Tallinn, Estonia (First Prize); Schloss Well an der Pram International Violin Competition in Austria (Second Prize); the Donald Portnoy International Violin Competition (Second Prize); and Artist Series - Sarasota String Competition (Second Prize). As a baroque violin soloist, Lee toured throughout New Zealand with Masaaki Suzuki and Juilliard415. As a leading member of Juilliard415, Isabelle toured throughout the United States, and to France, England, Holland, India, Canada, Bolivia, Germany and New Zealand. Her work with Juilliard415 led to collaborations with the Yale Schola Cantorum, The Hague Conservatory, Juilliard Dance, Juilliard Opera, and Bach Collegium Japan. She has featured as a soloist and chamber musician in Alice Tully Hall at Lincoln Center, Weill Recital Hall at Carnegie Hall, the Maly Hall and Grand Hall of the St. Petersburg Philharmonic, Glazunov Hall and Belosselsky Belozersky Palace in Russia, St. Petersburg State Capella Concert Hall, and New Zealand’s Fowler Center. Lee’s performances have also been broadcasted on live radio and television by WQXR in NYC, MediciTV, Estonian Cultural TV, WPBI, and Radio New Zealand. Lee’s festival appearances include the Banff Chamber Music Residency in Canada, Aspen Music Festival, Atlantic Music Festival, Berwick Academy at Oregon Bach Festival and Chamber Music at the Valley of the Moon in Sonoma, California. She also performed with the Orchestral Academy of the Shleswig-Holstein Music Festival in Germany, and subsequently completed a tour under Christoph Eschenbach to China. 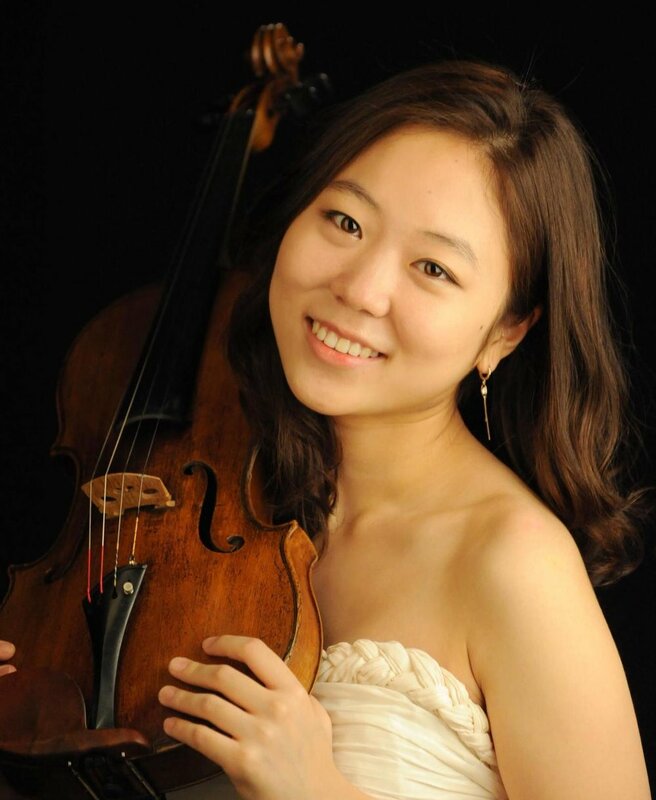 Isabelle Seula Lee started studying violin at the age of four in her home country of South Korea but soon moved with her family to Russia, beginning her life in music with ten years of study at the Special Music School of the St. Petersburg Conservatory. Lee was awarded full scholarships to study at Lynn University (BA); The Juilliard School (MM); and Yale School of Music (Artist Diploma). A specialist in baroque violin performance, she served as a Visiting Fellow with Yale University’s Yale Baroque Ensemble and completed her second master’s in Historical Performance at The Juilliard School. Her principal teachers include Elena Zaitseva, Elmar Oliveira, Hyo Kang, Naoko Tanaka, Robert Mealy, Monica Huggett, Cynthia Roberts, and Elizabeth Blumenstock. She has also completed significant study in historical performance practice with Rachel Podger, Richard Egarr, Robert Levin, and Beatrice Martin. Lee has performed in master classes with Ruggiero Ricci, Ida Handel, Sylvia Rosenberg, Christian Altenburger, Charles Castleman, Yuval Yaron, Jan Repko, Maksim Fedotov, Andre Cardenes, Jacques Israelievitch, and chamber music coachings and master-classes with members of Tokyo, Brentano, Emerson and Miro String Quartets. Lee is now primarily based in New York City and enjoys an active musical life as a violinist and baroque violinist across many musical styles and periods. Academy and the Herald School of Music and Arts where he is also the assistant conductor. He is currently the music director of the North Shore United Methodist Church in Wading River where he directs and coaches the church choir and praise band. Jenny Kwak completed her Master's and Master’s of Musical Arts degrees from Yale School of Music and is currently pursuing her Doctoral of Musical Arts degree at Stony Brook University. 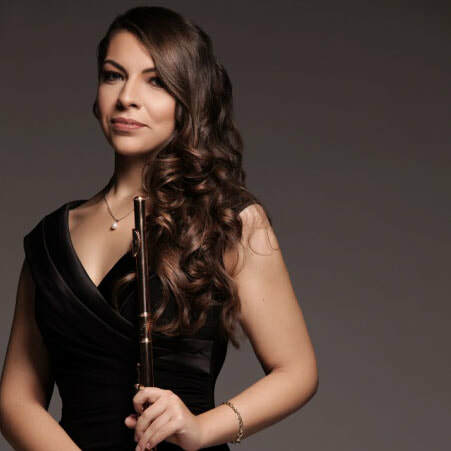 She has appeared as soloist with the Music in the Mountains Chamber Orchestra and the Texas Christian University Symphony Orchestra as its concerto competition winner. She has performed at Carnegie Weill Recital Hall along side with Ani Kavafian and Wei-yi Yang as a part of Yale in New York series, and has performed with the Sejong Soloists. She served as principal cellist of the Eastern Connecticut Symphony Orchestra in their 2017-2018 season. She has attended the Aspen Music Festival and School, Music in the Mountains, Orford Music Festival, Pacific Music Festival, and the Music Academy of the West most recently, where she was chosen as one of the Zarin Mehta fellows with the New York Philharmonic. A passionate chamber musician, Venezuelan violist Ramón Carrero–Martínez has won top prizes in chamber music competitions, including first prize in the Maria Paula Alonzo Chamber Music Competition in Caracas with Teresa Carreño String Quartet, prize winner in Lilian Fuchs chamber music competition and first prize in Ruth Widder String Quartet competition performing the Bartok first String Quartet both in NYC. Mr. Carrero-Martínez began his music studies in Caracas as part of “ElSistema”. He has performed in concert halls in Venezuela, US and Europe including Carnegie Hall, Berlin Philharmonie, Konzerthaus of Vienna, and Het Concertgebouw of Amsterdam. His festival appearances include the Beethoven Fest 2010 in Bonn, Salzburg Festival 2014 with Teresa Carreño Youth Orchestra of Venezuela, Esterházy Palace String Quartet Festival 2014 in Eisenstadt with Teresa Carreño String Quartet, Musica Mundi International Chamber Music Festival 2016 in which he performed the Schumann Quartet with pianist Menahem Pressler in Belgium and he was an International Program Artist in Music@Menlo 2017. He has taught as Artist Faculty at the San Antonio Summer Classical Music Institute (CMI) “which mission is to cultivate classical music education as a gateway to the arts” and in fall of 2017 he joined the violin/viola faculty of UpBeat NYC a music program inspired by the philosophy of Venezuela’s “El Sistema” Bronx-NYC. 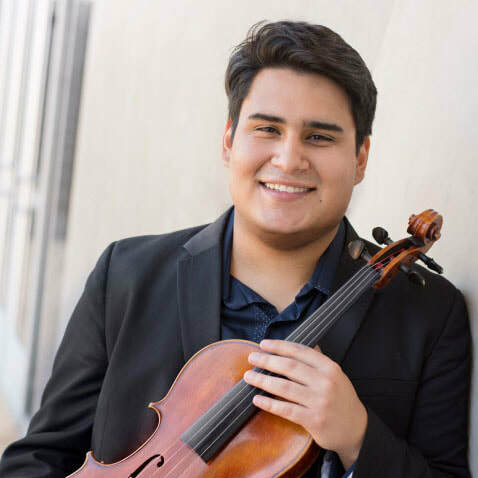 Currently, Carrero-Martínez is an undergraduate at Manhattan School of Music where he is a full scholarship student of Daniel Avshalomov, violist of the American String Quartet. Violist Sungjin Lee, of South Korea, is an avid chamber musician, having collaborated with artists including Gidon Kremer, Steven Isserlis, Christian Tetzlaff, Nobuko Imai, Itzhak Perlman, Pamela Frank, Peter Wiley, Ida Kavafian, Ani Kavafian, and many others. 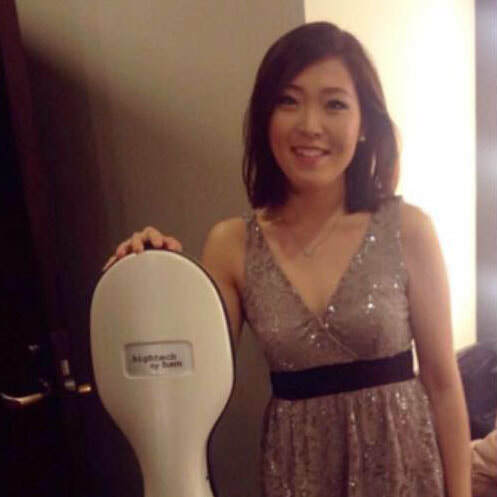 She is The winner of the special prize of 2013 Lionel Tertis and First Prize of Just Viola Festival competition. Ms. Lee has appeared as soloist with the Baden-baden Philharmonic, Korean Symphony Orchestra and Academie Ensemble, among others. She had recitals around the world including Abbaye de Saint Maurice in St Murice Switzerland, Kumho Art Hall in Seoul, Field Concert Hall in Philadelphia and Paul Hall in New York. She regularly appears with the Philadelphia Orchestra, Sejong Soloist, Jupiter Chamber Music Players and has attended festivals such as Caramoor Evnin Rising Star, Verbier Academy, Perlman Music Program, Music @ Menlo, Kronberg Academy Chamber Music Connects the World and many others. Graduate of the Curtis Institute of Music, the Juilliard School under renowned pedagogues Michael Tree, Heidi Castleman, Hsin yun-Huang and Roberto Diaz and she is studying at Manhattan School of music as Artist Diploma Student in the Studio of Samuel Rhodes. Named five straight years as best trombonist in the Down Beat Critics Poll and declared "the most exciting slide brass player of his generation" by the Penguin Guide to Jazz on CD, Ray Anderson has shown remarkable range. He has led or co-led a daunting assortment of tradition-minded and experimental groups, big bands, blues and funk projects and even a trombone quartet. Anderson attended the University of Chicago Lab School, where one of his classmates was another notable trombone original, George Lewis. His teachers included Frank Tirro and Dea n Hey. In 1973, Anderson moved to New York where he studied and played with composer and music theorist Jimmy Giuffre, joined drummer Barry Altschul's free-form trio and played for three years with the quartet of AACM saxophone hero Anthony Braxton. In the '80s, he garnered attention with collective bands including the funk-oriented Slickaphonics and the trio BassDrumBone, featuring bassist Mark Helias and drummer Gerry Hemingway. On a series of acclaimed recordings, he has ranged from Ellingtonia and jazz classics to striking originals. Like Sting, tubist JAY ROZEN was born in the 50's. He studied at Ithaca College, Yale University and the University of North Texas. He has played his tuba all over the world; in Israel, Russia, Germany, Austria, Holland, Switzerland, Canada and elsewhere, and in such diverse venues as the Bang-On-A-Can Marathon in New York to the Zappanalle Festival in Germany. He has played in the Jerusalem Symphony Orchestra, the European Tuba Quartet, the Creative Opportunity Orchestra (jazz ensemble). A long-time champion of new music, Rozen has had pieces written for him by many composers, including Virgil Thomson (JAY ROZEN: PORTRAIT AND FUGUE) and David Lang (ARE YOU EXPERIENCED? for electric-tuba, narrator and chamber ensemble - CRI Recorde #625). Since moving to New York in 1999, Rozen has played with the American Symphony Orchestra and the SEM Ensemble. He has also performed with such jazz luminaries as Ray Anderson, Charli Persip, and Perry Robinson. ​Tonito has a background in museum and art education from C.W. Post Long Island University. He is also a national exhibiting environmental artist who has focused on local environmental issues such as deforestation and endangered species. 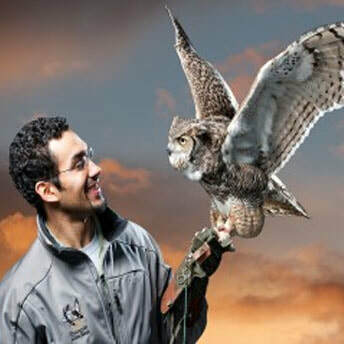 Tonito has studied and enjoyed birds of prey, botany and Long Island’s varied ecosystems. His passions of nature, education and art have been well blended for the environmental artist. Nell Snaidas has been praised by the New York Times for her “beautiful soprano voice, melting passion” and “vocally ravishing” performances. Her voice has also been described as “remarkably pure with glints of rich sensuality” (Vancouver Sun); and she has been called “a model of luminous timbre and emotional intensity” (Cleveland Plain Dealer). American-Uruguayan soprano Nell Snaidas began her career singing leading roles in zarzuelas at New York City's Repertorio Español. Specialization in Latin American and Spanish Baroque music has taken her all over Europe, North and Latin America. She has been invited to join many leading Early Music ensembles in the capacity of soloist, guitarist, and Iberian/New World language and repertoire consultant. These groups include Apollo’s Fire, The Seattle Baroque Orchestra, Ex Umbris, Ensemble Viscera, El Mundo, Chatham Baroque and at Music Festivals from the U.S., Canada, Mexico, and Italy, to Germany, Austria and Switzerland. She has recorded for Sony Classical, Koch, Naxos and Dorian (for whom she served as language coach and soloist on 3 Spanish/New World Baroque cds). Her latest cd as a featured soloist with El Mundo in this same repertoire has been nominated for a Grammy in the Best Small Ensemble category. Guitarist Francisco Roldán is a very active performer as a soloist as well as in chamber music, nationally and internationally. He has performed in Portugal, Greece, Russia, Spain, Colombia, Argentina, the Dominican Republic, Lithuania and Paraguay as well as throughout the U.S., including concerts at Merkin Hall, Alice Tully Hall, Weill Recital Hall, for Lincoln Center’s Local Live Concerts and Artists Outreach Programs, Bargemusic, Wave Hill Gardens, CAMI Hall, the Metropolitan Museum of Art, Mannes Guitar Festival, Symphony Space, Riverside Church (Christ Chapel) and the Mid-Hudson Classical Guitar Society in New York, Harmony Hall in Maryland, St. Paul's Episcopal Church in Milwaukee, ArtsQuest and MusikFest in Pennsylvania, for the Philadelphia Guitar Society, the New Jersey Chamber Music Society, the Puffin Gallery, the Colombian Consulates in New York and Boston, the Smithsonian Library, the Museum of the City of New York, Round Top Music Festival, the Spanish Institute, Gracie Mansion, and at the Americas Society, as well as at various universities and libraries. In addition, Mr. Roldan accompaniedacclaimed flamenco dancer Pilar Rioja at the Repertorio Español theatre in NYC for 8 seasons. In 1999 he was invited to perform Rodrigo's Concierto de Aranjuezin two publically and critically acclaimed performances with the Celebrate! orchestra under the direction of Laurine Fox. He has also played various concerti and has participated in numerous chamber music recitals with choruses, singers and instrumentalists. Francisco Roldán’s first CD of solo music,Latin Guitar, in which he interprets the music of Barrios, Lauro, and which contains the world premiere recording of the Dominican composer Rafael Landestoy's complete works for guitar, was released in 2003. In 2005 he released his second CD titled Almost All Bach, in which he performs the music of Bach and Scarlatti. His third, ZigZag, released in 2010, performed with his ZigZag Quartet, contains music of Boccherini, Bolling, Gnattali, Landestoy and Piazzolla, and can be heard at www.zigzagquartet.com. 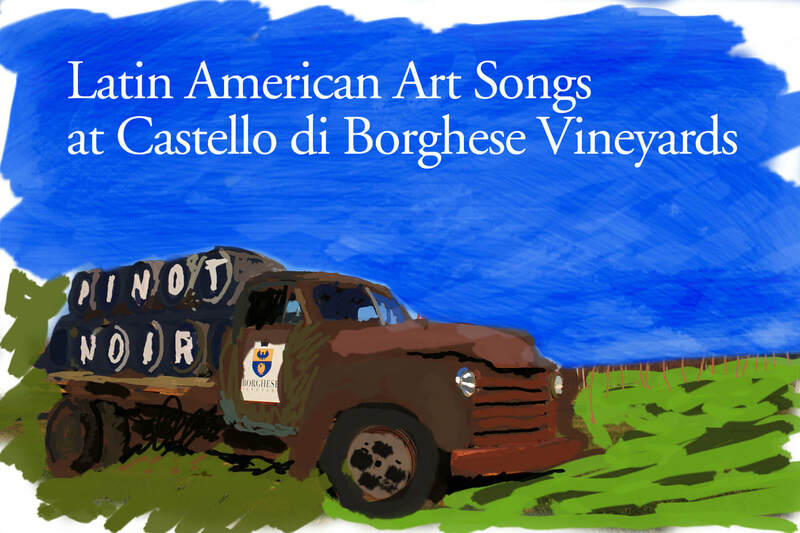 His recording with soprano Gretchen Farrar, Interweaving, was also released at the end of 2010. All are available at cdbaby.com, iTunes and Amazon.His duo, Instruments of the People, with percussionist Danny Mallon, released a debut recording in 2016. FranciscoRoldán has been entertaining audiences since his early years at the Mannes College of Music. He received annual scholarships and attained the Master's Degree in Performance from the Mannes College of Music. In the spring of 1993, he performed aNew York debut recital at the Weill Recital Hall, Carnegie Hall, whichlaunched his career as a soloist. 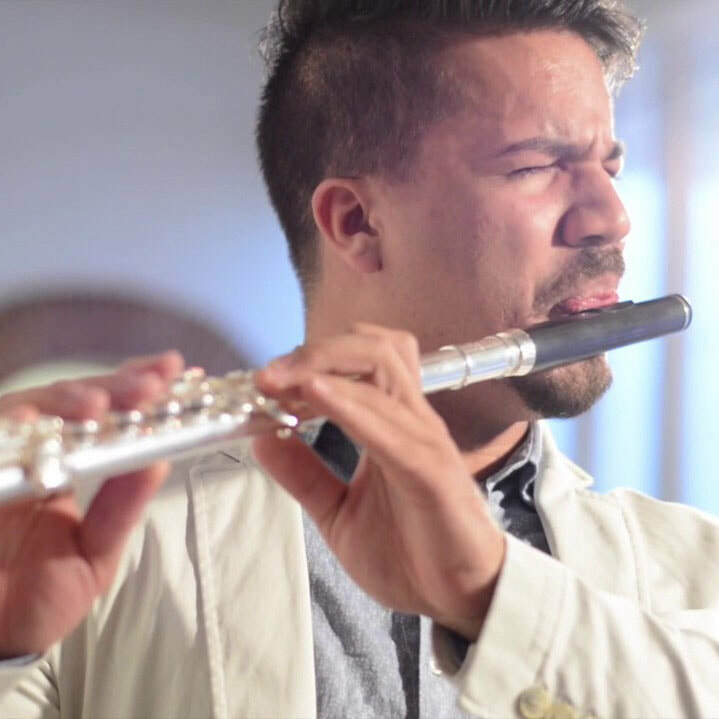 Francisco Roldán is currently on the faculty of the Mannes College of Music Extension and Preparatory Divisions, at Lehman College, City University of New York, and New Jersey City University. He is also a founding member of the ZigZag Quartet, Interweaving, Compass and Instruments of the People. 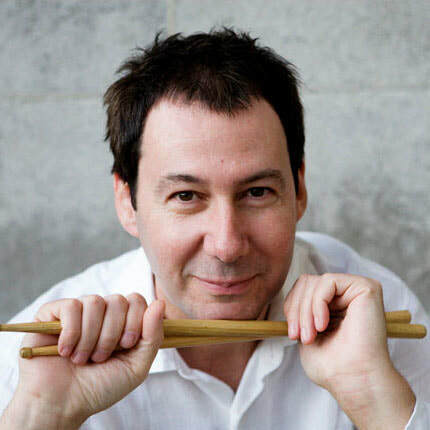 Danny Mallon was inspired to play drums when he saw the Beatles perform on the Ed Sullivan show and ever since then this passion has taken him around the world playing many different styles of music. He has travelled each year since 2009 as a musical ambassador for the US Dept. of State bringing American music around the world. He can be heard on numerous recordings, soundtracks, radio and tv spots. He has recently performed with the symphony orchestras of; Moscow, St. Louis, San Diego New Jersey, Phoenix, Fort Worth, Winnipeg, Calgary and Spokane. Danny played last summer for the U.S. Embassy in Belarus. Cliff Baldwin is a sculptor, composer and filmmaker. He lives and works in Aquebogue, New York. He has exhibited in Tokyo, Cologne, Berlin, Mexico City, Los Angeles, and New York. His work is in numerous collections including MoMA, The Walker Art Center, The Museum of The Art Institute of Chicago, The National Gallery of Canada, and The Museum of Rhode Island School of Design. He has done public sculpture in New York, Mexico City, Stockholm and Warsaw since 1989. He has collaborated on video operas at the Kitchen, Galapagos and the Knitting Factory with composer Mikel Rouse. His audio work has been included on the NPR Radio show From Ark to Microchip and he was a founder of the BCR big band in Kansas City, Missouri. Cliff performed The Language of Light at the Parrish Art Museum in 2015. He is a curator at the Jamesport Meeting House and is the founder of the Aquebogue Contemporary Music Ensemble. ACME recently performed a live film program of early Edison and surrealist films at the Jamesport Meeting House. He started the Harvest Arts Festival at the Jamesport Meeting House in 2018 to bring visual arts to the historic cultural center. His music is available on Bandcamp, Spotify and iTunes. Artist/composer Dwight Frizzell was born with the Space Age (and nicknamed Sputnik), fueled by the Atomic Age (his neighbor was Harry S. Truman), and cosmo-mentored by Sun Ra. His 1976 Beyond the Black Crack LP orchestrated the time-slipping effects of black holes (and was reissued on Paradigm in 1999). The release was included in the Nurse with Wound List and described by Top magazine as “one of the '70s forgotten underground masterworks.” Besides playing Stockhausen’s and Cage’s star music, Frizzell currently performs originals “Star Seed,” Heliophonie,” Aurora Borealis” and “Devil Dog,” a send up to Laika, the pioneer space dog. Dwight is a founder of newEar contemporary chamber ensemble, Myth-Science Ensemble, and Black Crack Revue. He is Professor in Converging Media at the Kansas City Art Institute, and his music is available on Paradigm Discs. Born in Brisbane, Australia, Tim was the flutist and co-artistic director of the chamber ensemble eighth blackbird from 2006 till 2015. As a member of eighth blackbird, Tim performed at major concert venues in 40 US states and abroad, worked as soloist with America’s finest orchestras, curated three music festivals, and premiered more than 100 new works, including Steve Reich’s “Double Sextet” (Pulitzer Prize winner, 2009). Tim won his second Grammy Award as a member of eighth blackbird in 2013, for the Cedille Records album “Meanwhile. According to the Chicago Tribune, “the fierce virtuosity of Tim Munro was worth the price of admission all by itself.” Tim’s solo performances are “bravura”, “charismatic” (The New York Times), “engrossing” (Chicago Tribune) and “brilliantly clear and beautifully balanced” (Sydney Morning Herald). Tim memorizes his solo repertoire, leaving him free to add a theatrical dimension to his shows. In October 2014, Tim released his first solo album, “one two three,” a funny, terrifying, and unpredictable journey that casts Munro as flutist, singer, amateur mathematician, and supervillain. The album was produced in collaboration with Chicago’s cassette tape label, Parlour Tapes+. Future projects are many and varied. 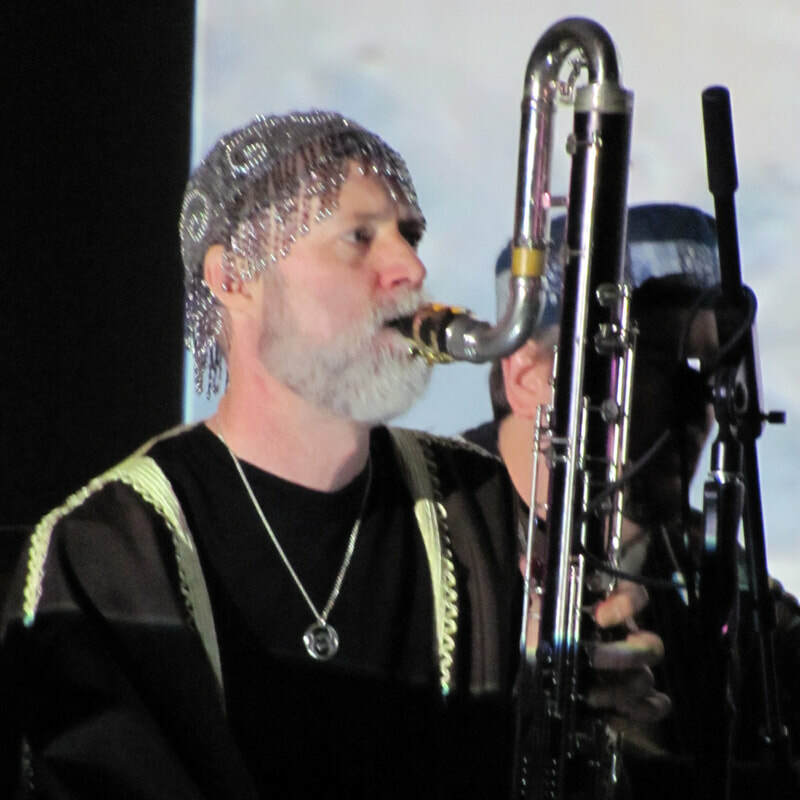 In the final months of 2015, Tim is music director of John Luther Adams’ monumental “Sila” at the Brisbane Festival, acts as a sabbatical replacement for Molly Barth at the University of Oregon, guest-lectures at universities around Australia, and is a featured artist at the Australian Flute Festival. Tim has upcoming collaborations with Chicago composer Dave Reminick (a funny, chaotic work for flutist-singer) and Pulitzer prize-finalist Chris Cerrone (a 20-minute work exploring the emotional potency of extreme acoustic spaces, funded by a New Music USA grant). He is co-music director for a large-scale musical project, involving 1000 performers, planned for its US premiere in Chicago in 2017. An experienced and energetic teacher, Tim guides and provoking students to use their instruments to tell compelling tales with emotional honesty. As a member of eighth blackbird, he held faculty positions at the Curtis Institute of Music, University of Chicago and University of Richmond, and has appeared as a guest lecturer at more than 50 universities across America. He is also a passionate writer and speaker about music, inviting audiences into his beloved musical worlds with intelligence and humor. Tim is principal flute of the Cabrillo Festival Orchestra in Santa Cruz, works often with the Chicago Symphony (as pre-concert speaker, substitute flutist, and Civic Orchestra coach), and has performed with many of Australia’s orchestras and chamber ensembles. Cerrone’s opera,Invisible Cities, based on Italo Calvino’s landmark novel, was praised by The Los Angeles Timesas “A delicate and beautiful opera…[which] could be, and should be, done anywhere.” Invisible Cities received its fully staged world premiere in a wildly popular production by The Industry, directed by Yuval Sharon in Los Angeles’ Union Station. It was released in 2014 as a commercial recording on The Industry’s in-house label, and reissued in 2017 with a DVD of the filmed version of this landmark production. His upcoming opera In a Grovewith librettist Stephanie Fleischmann had its first workshop with Mahogany Opera Group at the 2017 Various Stages Festival. Paolo Bartolani is a pianist, musicologist and music manager, working in both classical and contemporary music. He graduated in 1989 from the Santa Cecilia Music Conservatory in Rome (Italy). He studied with Eduardo Hubert, and after graduation, with Charles Rosen, György Sándor and Andor Foldes. He also studied French piano repertoire with Germaine Mounier at the Ecole Normale de Musique in Paris. In 1994, he received his Master in Musicology of the 20th century degree under the direction of Hugues Dufourt at the École des hautes études en sciences sociales in collaboration with IRCAM / Centre Georges Pompidou in Paris. Paolo performs as a soloist and also as a member of chamber ensembles in Europe and United States. He writes articles for the musicology journals Sonus-Materials for Contemporary Music and Music/Reality. In 2006, he created a Masters Degree Program in Cultural Enterprise Administration at the University of Perugia, where he also teaches. At the Venice Biennale, from 2008 to 2012, Paolo was the General Coordinator of ENPARTS - European Network of Performing Arts, which promotes the creation of new works in dance, music and theater by young artists. From 2009 to 2014 he was the Director of the Résonnance Italy, a nonprofit organization based in Switzerland, where he was responsible for its artistic and humanitarian program, "bringing music to places where it is not heard." The members of the organization – singers, instrumentalists, conductors – have performed more than two hundred concerts in hospitals, nursing homes and prisons in order to promote musical sensibilities and share the joy of music. He is the current General Coordinator of Music Up Close Network at Santa Cecilia National Academy in Rome. The Network includes seven European orchestras who promote new orchestral works and support a new generation of musicians to connect with young audiences. Soprano Tammy Hensrud, hailed by Switzerland’s Opernwelt as “…a remarkably beautiful voice capable of many colors and nuances…a singer who is also a natural actress” has appeared in opera houses throughout Germany, Austria, France, Italy, Japan, Israel, South Africa and the US including the Metropolitan Opera, Vienna State Opera, Stuttgart Opera, Theatre de Chatelet in Paris, Klagenfurt Stadttheater, Salzburg Festival, Cleveland Opera, Opera Orchestra of New York, New York City Opera, and the Spoleto Arts Festival under notable conductors such as James Levine, Herbert von Karajan, Emmanuelle Villaume and others. She has been heard in Recitals and concerts throughout the US, Canada and Europe and has recorded with the Netherlands Radio Orchestra, Süddeutsche Rundfunk Orchestra, and Manhattan Chamber Orchestra. Her core repertoire includes the great operatic roles of Strauss, Mozart, Rossini, Bellini, Puccini and orchestral works of Mahler, Berlioz and Wagner. Her acclaimed European debut as Romeo in I Capuletti e i Montecchi came while still a member of the Vienna State Opera’s Young Artist Program. Invitations to opera houses in Germany, Austria and Italy soon followed. Her versatility as a performer has allowed her to cross over into musical theater roles such as the Mother Abbess in the Sound of Music, which she sang in a three month run at the Ordway Theater in Minneapolis. As a sought after interpreter of Kurt Weill, she has performed one woman Kurt Weill/Cabaret shows at The National Concert Hall in Dublin, Ireland, The Players Club Bechstein Concert Series and the Lucille Lortel Theater in New York. 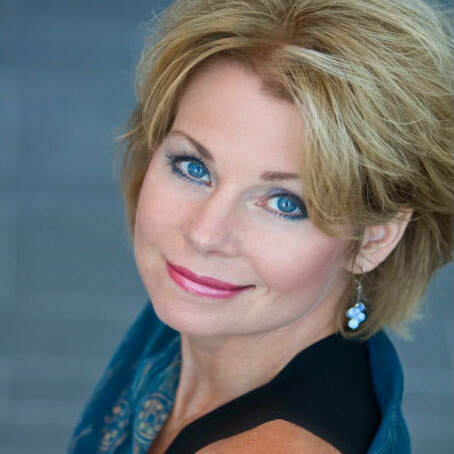 Ms. Hensrud has performed recitals throughout Germany, Austria and France and has recorded Gounod’s Mors et Vita with the Netherlands Radio Orchestra. In the United States, Ms. Hensrud was heard at the Rutgers University SummerFest in Mahler’s Kindertotenlieder and returned to Rutgers University to sing in Mahler’s Third Symphony. Other recent concert engagements include Mahler’s Des Knaben Wunderhorn, Berlioz’s Les Nuit d’ete, Vivaldi’s Gloria with the Songe d’ete Quebec, Beethoven’s Ninth Symphony and the Soprano Soloist in world premiere of Gerald Custer’s Everything Indicates at Carnegie Hall. Ms. Hensrud has frequently appeared with the Manhattan Chamber Orchestra in world premiere concerts featuring American composers at Merkin Hall and Symphony Space, has toured the United States with the Trio, Solomania, performing recitals with cellist Zvi Plesser and pianist Daniel Blumenthal, has appeared in concert with the award winning Chiara String Quartet as well as with her Trio, The Enigma Trio with Svetlana Goroghovich, Piano and Ben Capps, Cello, in Vocal Chamber recitals. In 2008 Ms. Hensrud co-founded Feminine Musique, a recital duo dedicated to performing the compositions of women composers which has performed throughout the United States and Europe. A most versatile artist, she has performed at the Metropolitan, New York City, Stuttgart, and Vienna State Operas, the Salzburg and Spoleto Festivals and in Musical Theater, Cabaret and Kurt Weill one-woman shows both in NY and abroad. Ms. Hensrud serves on the Faculties of Hofstra University and St. Olaf College as Professor of Voice. 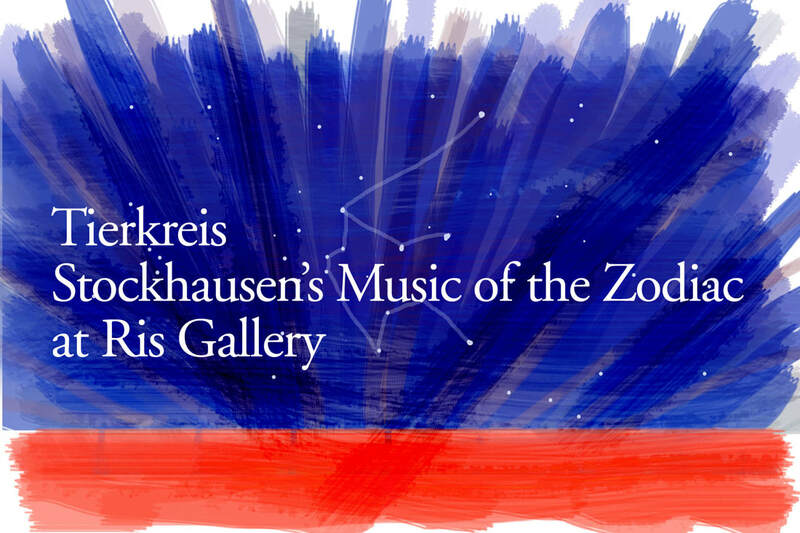 As a proponent of contemporary music, Ms. Hensrud has sung the World Premiere Performance of Christoph Hohlfeld’s Zwei Legenden for the Sud-Deutsche Rundfunk, Richard Yardumian’s To Mary in Heaven, Richard Ratner’s Spoon River Anthology, Mrs. Evans, in the Blitzstein/Lehrman Opera Sacco and Vanzetti, and with the Manhattan Chamber Orchestra has recorded Gerold Chenoweth’s Two Poems by e.e. cummings and a premiere of Seymour Barab’s one woman opera Everything Must Be Perfect. She premiered Adolphus Hailstork’s “I Speak Peace” with the Bismarck Symphony for Soprano soloist and Children’s Choir in honor of President John F. Kennedy. Ms. Hensrud created two premiere roles with the Center for Contemporary Opera in NYC: Marie-Hélène in François Dompierre’s “Is Paris Burning?” and Rose Kennedy in Chandler Carter’s opera “Bobby” . Ms. Hensrud began her career as a cellist and holds the Bachelor of Music Degree in Cello Performance, Master of Music and Master of Arts degrees from the University of North Dakota. She received a Fulbright Scholarship and continued post-graduate studies abroad at the Opernschule, Hochschule für Musik in Stuttgart, Germany where she received an Artist Diploma. Further studies were at the Mozarteum in Salzburg, Austria, the Franz Liszt Musik Akadamie in Weimar, Germany and the L’ecole Hindemith in Vevey, Switzerland. Ms. Hensrud is often in demand as a Master Class teacher, National Adjudicator, and Clinician. She has served on the faculty of Hofstra University as Adjunct Professor of Voice since 2005, is currently Visiting Professor of Voice at St. Olaf College in Northfield, MN and is on the faculty of several prestigious Summer Young Artist Programs in the New York area. Additionally she serves as Vocal Director of the Oyster Bay Summer Music Festival, focusing on Collaborative Vocal Chamber music repertoire. ​Praised by the Italian press as being “one of the most interesting talents of her generation”, and described as having “a beautiful phrasing, brilliant virtuosity and a legato worthy of a great singer” by The Flutist Quarterly, Ginevra Petrucci has performed in some of the most prestigious concert halls throughout Europe (Sala Accademica di Santa Cecilia and Villa Medici, Rome; Teatro La Fenice, Venice; Sala Maffeiana, Verona; Villa Pignatelli, Naples; Salle Cortot, Paris; Liszt Academy, Budapest; Chopin Academy, Warsaw), America (Carnegie Hall, New York; Kennedy Center, Washington D.C.), Japan (Ohji Hall, Tokyo), China, South America and Middle East. She performs regularly with artists such as Bruno Canino, Rocco Filippini, Paolo Carlini, Luca Vignali, Boris Berman, David Radzynski, Emmanuel Ceysson, Jory Vinikour and with the ensembles I Virtuosi Italiani, I Pomeriggi Musicali, I Musici di Roma, the Kodály Quartet. Her recordings include GiulioBriccialdi’s four flute Concerti with I Virtuosi Italiani, Friedrich Kuhlau’s quintets with the KodályQuartet, Haydn's flute Duets, the recital CD "The World of Yesterday" with Bruno Canino, Dupuy and Büchner’s Concerti with I Pomeriggi Musicali, the first CD entirely dedicated to the flauto d’amore and an all-Muczynski album. She is visiting professor at international institutions such as the Royal Academy in Dublin, the Paderewski Academy in Poznan, the Conservatorio Superior in Vigo and La Coruña, the European Culture and Performing Arts Association in Tokyo etc. She has worked with composers Kaija Saariaho, Steve Reich, George Crumb, Betsy Jolas and Jean-Michel Damase and she collaborates with Nuova Consonanza Contemporary Music Festival and La Biennale di Venezia. Born in Rome in 1989, she studied at Conservatorio ‘Santa Cecilia’ of Rome with her father, to continue her education at Ecole Normale ‘Alfred Cortot’ (Paris) with Pierre-Yves Artaud and at the Yale University (USA) with Ransom Wilson. She is the President of the Leonardo De Lorenzo Association. She is currently Principal Flute at Chamber Orchestra of New York.